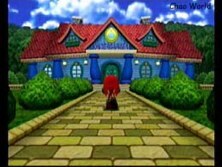 from the chao garden and to the Kindergarden door. 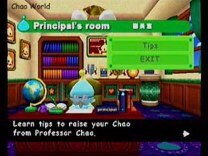 Go to the Chao Doctor and he can examine your chao, tell you how to make your chao better in racing, and type of chao you have, and the strengths of your chao. Go to the meat and potatoes of the Kindergarden, the classroom. take, the better your chao will get in that area. 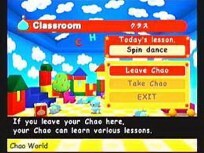 You may only leave 4 chao at once, and the same chao can only stay for that skill 3 times, after that, he has mastered the skill.